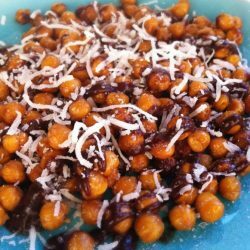 I am still (7 years later) in love with roasted chickpeas. 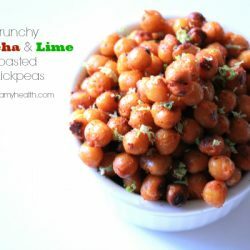 I use roasted chickpeas as a snack, on salads, in soups and on top of roasted vegetables. For me they have replaced popcorn, chips, croutons, you name it. 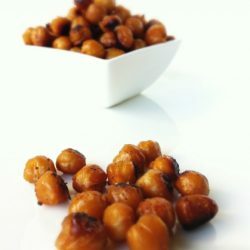 I love mixing up my flavors of roasted chickpeas depending on the mood I’m in. This recipe was inspired by Nova Scotia – the place I was born. I have now lived in three different provinces. I have traveled across Canada and the United States. I have to say – Nova Scotia has the best maple syrup – hands down. There is just something pure, delicious and unique about Nova Scotia maple syrup. Growing up going to the maple sugar woods and getting your supply of maple butter, maple cream, granulated maple sugar and regular maple syrup was an annual event. Nowadays, living in Vancouver, I will beg my family to send me the Nova Scotia sweet stuff every year. 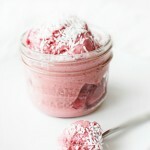 Sweet and salty flavor combinations are extremely popular and I completely get why. They are a super satisfying treat combination. 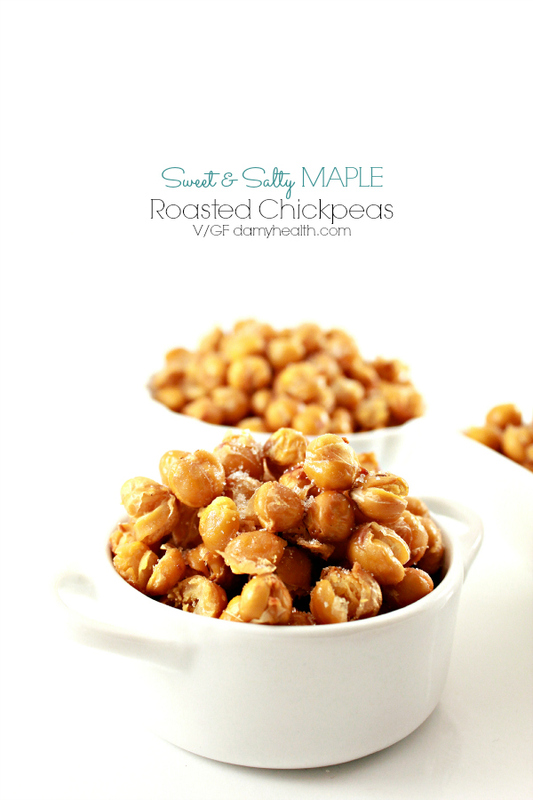 This Sweet and Salty Roasted Maple Chickpeas recipe is no exception. 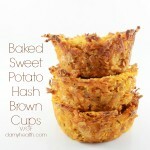 Try this recipe as a snack or treat or to top any meal. 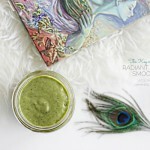 I promise you will love it. 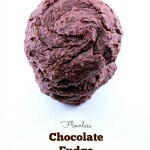 This recipe is gluten free, vegan, dairy free, high fiber, crunchy, sweet and salty. 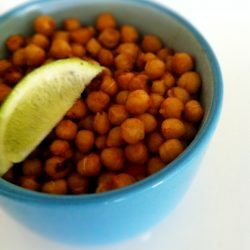 Place all ingredients in a bowl and stir until chickpeas are completely coated. 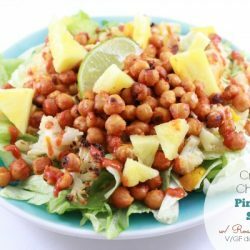 On a parchment paper lined cookie sheet evenly distribute chickpeas (single layer). 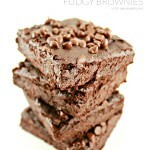 Place in the oven and bake 25-30 minutes stirring 2-3 times. *Sprinkle with a bit more sea salt if you desire. 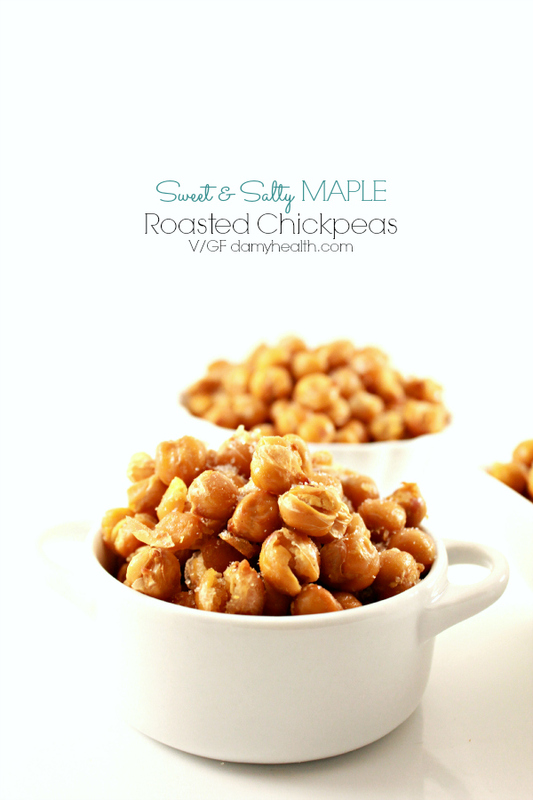 DAMY Members - You can use one serving of this recipe as a treat or as a meal 2 snack option.